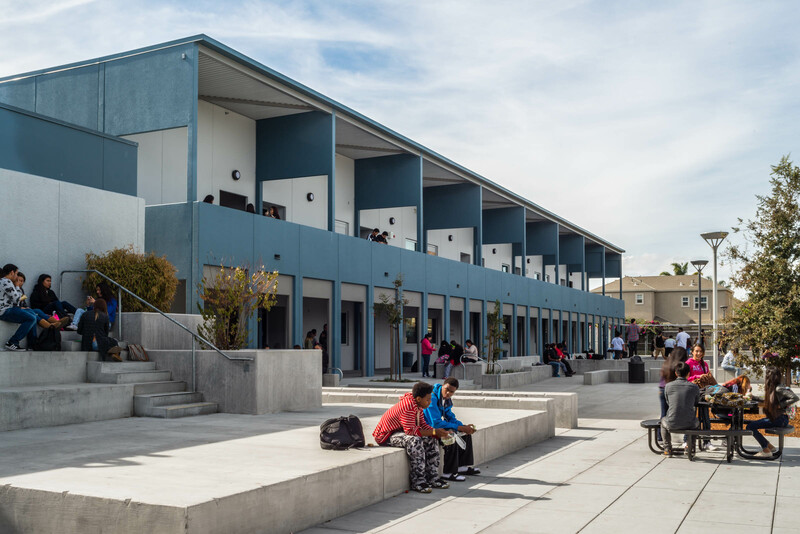 CSDA provided architectural services for the expansion of a 280-student Stanford University affiliated, public charter high school within the Sequoia Union High School District. The project was delivered from start of design to substantial completion in less than 12 months, on time and on budget. The site features a new 20,000 sf two-story, high-performance modular classroom that was designed to exceed Title 24 energy savings standards by 40 percent and deliver a 100-year service life for the shell and structure. The building includes nine standard classrooms, a computer lab, a full chemistry lab with fume hoods, and a chemical storage room with an observation window for experiments that might require separation of the students from the reaction/event. Additional renovations to the site include .88 acres of landscape improvements which utilize bio-filtration plants to treat 100 percent of stormwater onsite prior to draining to the bay. Also included were a staff parking lot, new basketball and volleyball courts, and a new courtyard. The site, which is composed of fill over bay mud, required extensive ground improvements to prevent liquefaction. An incremental approval process with the San Diego Office of DSA allowed the team to expedite both hazardous soil remediation and ground densification operations while the balance of work was still in design and approvals.